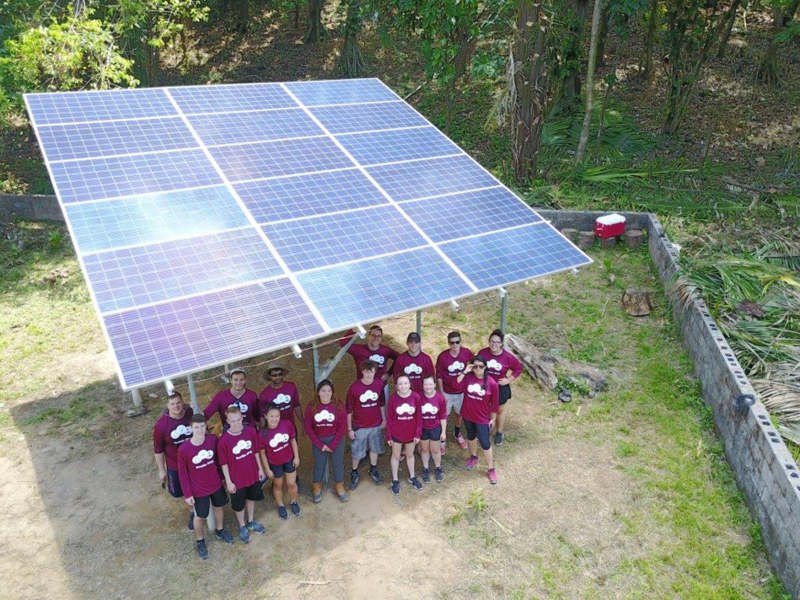 For the eighth consecutive year, members of NECA’s Penn State Student Chapter traveled to Honduras to install solar-powered water pumps to help local residents gain access to clean water. This year the students made two philanthropic trips to Central America in March and May. During the visits to West End, Roatan, Honduras, two 18-module arrays were installed for the community. Unlike previous projects this group has taken on, the team was working in a very populated city where most businesses are dedicated to tourism. This new solar technology will allow local companies to significantly offset costs, and the hope is that this model will serve as a case study for other cities on the island. Our students were able to immerse themselves in a new culture while gaining hands-on field experience and left a very positive mark on businesses in the area. Ahead of the service trip, students educated themselves on the needs of the community and made sure their efforts supplemented those needs in a sustainable way. Since the team’s water pump installation during last year’s service visit to Punta Gorda, Roatan, Honduras, 450 families in the community have benefited from the system and we’re sure we’ll have promising results to share on the impact of these 2018 trips as well. You can read more about the 2017 service trip here. This year’s Student Chapter received support from Electri International and worked in partnership with Vegas Electric, Kennesaw State, and Engineers Without Borders. Thanks to all who continue to support these students, and a special thanks to our hardworking students for using their skills to give back to those who need it most. This entry was posted in Uncategorized on July 8, 2018 by Rob Triplett.